Phyllis A. 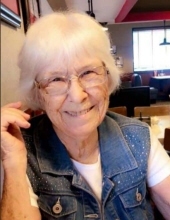 (nee’ Holzhauer) Zender, age 90, passed away Sunday, April 14, 2019. She was the devoted wife of the late Paul K. Zender, loving mother of the late Tonya Smith and Tamara Curry, dear step mother of Cynthia (Jim) Combs and Paul Michael Zender, proud grandmother of Emily and the late Jason Redder, Kristy, Micah, and Josh Zender, Tara, Jennifer, and the late David Dillingham, Gabriel and Ben Curry, and Lisa Summerville, adoring sidekick to her great-granddaughter, MaKayla Curry and also very caring great-grandmother of 31 other great-grandchildren, kind sister of the late Winnie Neidhamer, and will also be missed by numerous other family members and friends. Phyllis was the co-founder of Miami Valley Christian Academy in Newtown, Ohio. Services are being planned at a later date. If desired, family suggests memorial contributions in Phyllis’ honor be directed to the Samaritan’s Purse International Relief, P.O. Box 300, Boone, NC 28607 or www.samaritanspurse.org. "Email Address" would like to share the life celebration of Phyllis A. Zender. Click on the "link" to go to share a favorite memory or leave a condolence message for the family.